Miami Hurricanes rally to defeat Georgia Tech in Overtime. 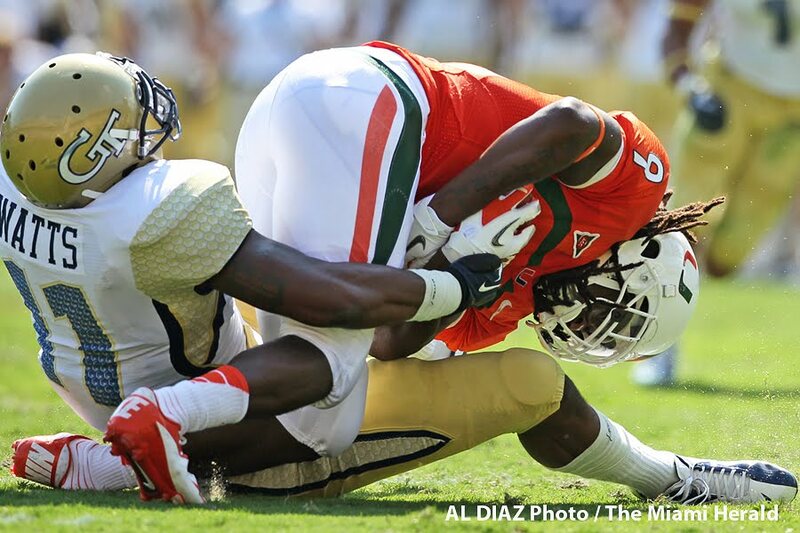 ATLANTA -- In a wildly intense game that made them look like champions for the first quarter and chumps for the next couple, the Miami Hurricanes proved in the end they have a fighter’s heart. 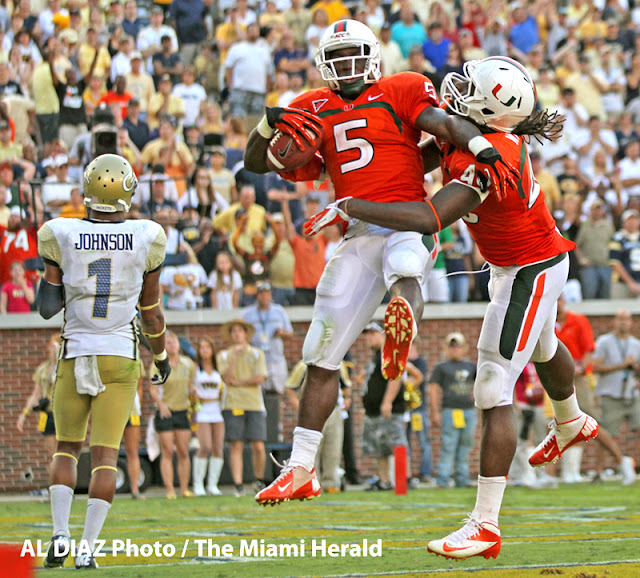 Miami rallied from a 17-point deficit — after blowing a 19-0 lead — to defeat Georgia Tech 42-36 in overtime Saturday and take first place by itself in the Atlantic Coast Conference’s Coastal Division. Senior running back Mike James scored four touchdowns. His 10-yard catch with 27 seconds left in regulation tied the score, and his 25-yard game-winning run contributed to a stunning offensive performance by the Canes — 609 yards, a career-high 436 of them thrown by quarterback Stephen Morris.